Is Your Current Vintage Deck Proxy Free? 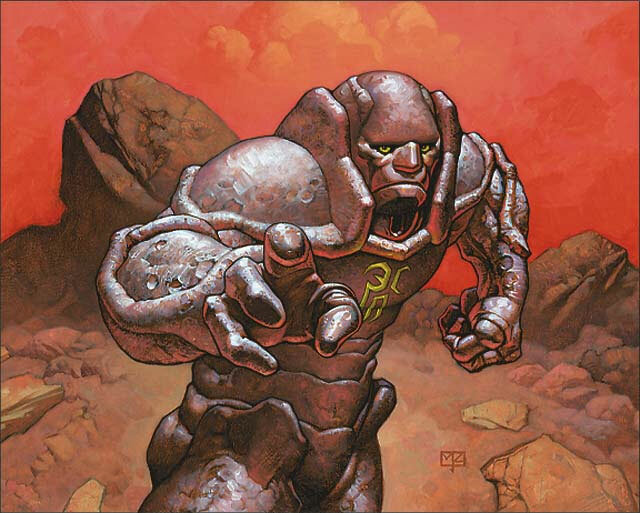 TheManaDrain.com > Vintage Community Discussion > General Community Discussion (Moderators: Zherbus, The Atog Lord, Godder, Demonic Attorney) > Is Your Current Vintage Deck Proxy Free? Question: Is Your Current Vintage Deck Proxy Free? I'm looking to get an idea as to how many people play sanctioned Vintage every time they play, and how many people need proxies to get them to a legal deck. Re: Is Your Current Vintage Deck Proxy Free? Now moved to the appropriate forum. I voted yes, but that's despite being very lightly poweref. I prefer brewing with what I have rather than playing Netdec.dec. I used to play sanctioned Vintage every week. Then the store owner sold it off, and the new owner discontinued the practice. I've got another store willing to do this on Littleton, Colorado, but the old crew doesn't respond to emails on the topic. If anyone in that area wants to help out, hit me up. Still proxy free...too bad I live in the middle of nowhere. Honestly, I'd just really like to get an idea what the percentages are like for the TMD community. The Vintage community is larger than the TMD community (if anything, I think the TMD community will be slightly more powered-up than the community at large), but it's still a point of reference. I guessed that half the New York area community is unpowered. I spoke with some members of the New England community who guessed that it was probably closer to 2/3rds being unpowered there. I'd love to hear what the Ohio and California communities guess their percentages to be. My workshops deck is fully powered, Mentor is currently missing Timewalk, as far as power. I am currently missing more blue duals than I am power cards at the moment. I don't know of too many Vintage players in CT, I have a buddy who is fully powered for dredge, and I believe Tom Dixon is in the area as well, but I am not sure what he does or does not have. I have interacted with other CT Vintage players, and they were all in the proxy power camp. Just because I have power though doesn't mean I automatically bring it out. I have proxied mine so that when I go to Vintage FNM at the Geekery, or smaller events, I don't put wear on the cards or put them at risk by bringing them out into the world. I can build just about any blue deck (full p9 + duals), so in that sense I'm fully powered, though depending on the deck I've sometimes had to proxy the fetches in order to be able to fetch correctly. I've been working on acquiring workshops (2 down, 2 to go), and after that I was going to pick up tabernacles and bazaars. (Current deck is workshops so I answered no). That said, I prefer to leave my power at home and bring it out for special events. I know I am not the only one in this camp. I like to have my vintage deck in my bag so that I can play with other vintage players, and show other magic players the deck and introduce them to the format, without having to worry about what would happen if my bag goes missing or I'm followed out of the store. When I could find games in Minnesota nearly everyone ran proxies. If I had a reason to have a paper vintage deck it would be only partially powered without proxies. No proxies but that's because I run dredge so the price of admission was not as much as say shops. Played in several proxy touries, never used one personally. I voted no. I can -technically- play Shops using just Black Lotus, Mox Ruby, Mana Crypt, Sol Ring, and Mana Vault, but it just isn't the same. And... a Black Lotus is about the price of a slightly used car (or two) here also. I voted No, which is true, but maybe misleading? I'm fully powered, and there are reasonable vintage decks I could play without proxies, but I usually don't own the full 75 I want. If I had to play sanctioned I'm sure I'm within a few hundred of MOST lists I would want to play. ... However if the metagame was trashed because enough other players had to quit or switch to budget decks, I wouldn't want to play enough to justify spending anything. I own almost all Vintage staples from Revised on (including duals, FoW, Jaces) but none of the older power. I have most of the stuff I need including the expensive cards, but it's nice to be able to not have to go throw the hassle of texting people/buying to get a random card or two I'm playing around with. I don't have power and only 8 duals so far. I could afford power but the current prices are silly so I'd abandon my attempt to join and learn and improve and find something else before buying in. Can play proxy-free for the most part (missing "modern" stuff like Arcbound Ravagers and Dacks), but usually I play proxies for the pricey stuff to save wear and tear on it. I break it out for Champs tho! This is me as well, but I also play Dredge so it was a bit easier to put the deck together. I let my friend use my power when we go to sanctioned stuff, but it mostly sits in our cube (in a vault, deep under a volcano. On the moon). I can build most power blue decks however my best records are all with Workshops so while I can play in a non proxy environment it is something I would rather not do. I've only been playing vintage for about 3 months, so I proxy all the power + workshops in my workshop deck. I really see no point in buying power at the prices they are at, there are better things I could do with that money. If I wasn't allowed proxies however, I would probably still play with a budget deck to feed my addiction even with a huge lose:win ratio. I was an ancestral short of playing anything non-workshops for awhile, but recently sold almost everything off for 1) an engagement ring, and then 2) part of a down payment on a house. Now I can play some legacy decks, and I am short basically just power for most things I want to play in vintage. I have been playing with the Serious guys in Ohio for a little while. I have power except for an Emerald. I am actively trying to complete my power. I only want to play with the real cards because that is what you are supposed to do with cards; play them. I think one unfortunate part about the tourney change is that it comes after the restriction of COTV. Budget decks back in the early 2000s meant, me included, could play U/R Fish with 4 Cotvs and null rods without needing all the power. Not the case anymore. I have been slowly acquiring power over the years and am almost complete. Does this tourney change mean that we will have to sideboard with more dredge hate? I voted no. I'm missing some P9's and generally use proxies for the high end stuff that I own because when I started acquiring upon returning to Vintage, I wanted them to be in NM condition. That puts a premium on their need for safety & security. It was bad losing a fully powered UW deck in 1996 to theft that was worth a total of maybe $1,000 max at the time (and luckily was recovered after police involvement), but that's not even 1/6th the price of an Unlimited Lotus alone in 2016. While I'd be able to play in sanctioned events, the problem would be worse than just culling the player base by more than half. This is because for those of us remaining, there would be a huge disincentive to traveling to venues that typically have 30 participants when the average monthly turnout plummets to 12. It would be a travesty to see that happen to our growing player base and TO's who have been so remarkable in building a rock solid community in the Northeast. There is no change to tournaments in the Northeast yet. Voluntary changes by stores in other regions who were wrongfully terrified by the overblown theatrics of one reckless store owner may end up being reversible; more clarification from Wizards is forthcoming and the early signs are now positive. My workshops deck is fully powered, Mentor is currently missing Timewalk, as far as power. This is me too. I have everything to play Workshops, but don't own any of either Jace, Flusterstorm, the aforementioned Time Walk and a bunch of other random stuff for those and other decks. Voted yes, but this would mean I couldn't play anything but blue. I own power, duals etc but not workshops, for example. Exactly the same here. Anything but workshops. Power, Duals, everything blue and everything Dredge is what i've got. I voted yes. Here in Barcelona all Vintage tournaments are non-proxy. We had a 10-proxy league but had less attendance. I don't own everything: I miss twister, workshops, bazaar, jace... However I have the rest of the P9 including time vault, have LoA, 7 duals, wastes, fows... I just play with my cards and borrow few from time to time. Only proxying newer stuff or Modern staples such as Jace Vryn, Consecrated Sphinx, Gift#2 & 3, Ensnaring Bridge(s)... It pains me to spend money for that stuff so I'm ok to wait until I can find a trade instead. On MTGO, I cant afford Misdirection so I proxy with Mindbreak Trap. The vintage deck I have tried to make is a grixis delver deck with cabal therapy. I have so many proxies in it that I couldn't even go to most proxy vintage tournaments. I've been trying to get more real cards to get inside the limit, but so far I'm missing quite a bit. That's not the deck I would prefer to play, but I'd rather have that than nothing at all. The closest vintage events are several hours away at least so I don't worry about it too much. I had been trying to drum up interest in a total proxy event in my town but I don't know if the store owner would allow us to play anymore.